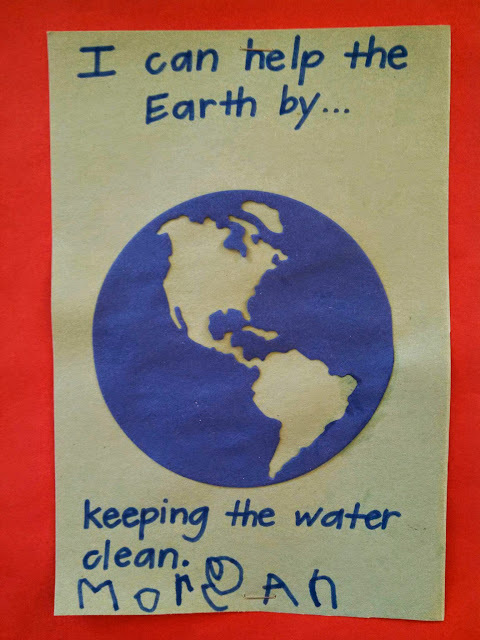 Since Earth Day was on Tuesday of this week, we took the time to learn about Earth and how we can take care of our planet. The children talked about the importance of not littering, picking up trash, and recycling. 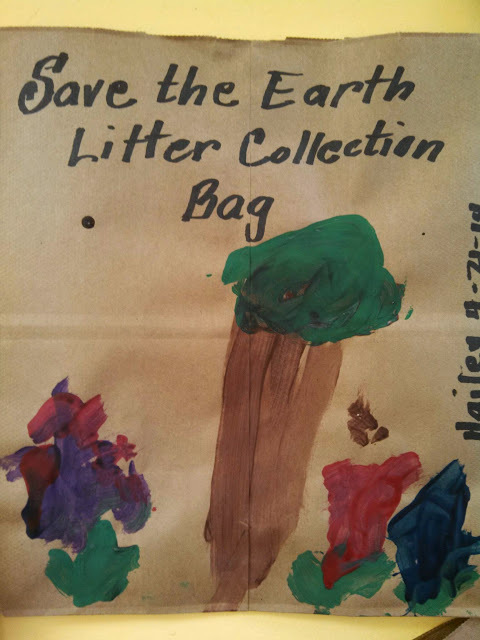 One class made Little Collection Bags to use to pick up trash! 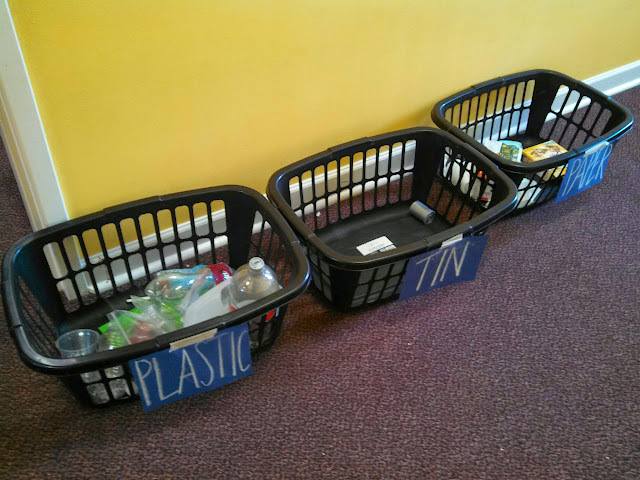 The children brought in items from home and decided which bin to place them in- plastic, tin, or paper. 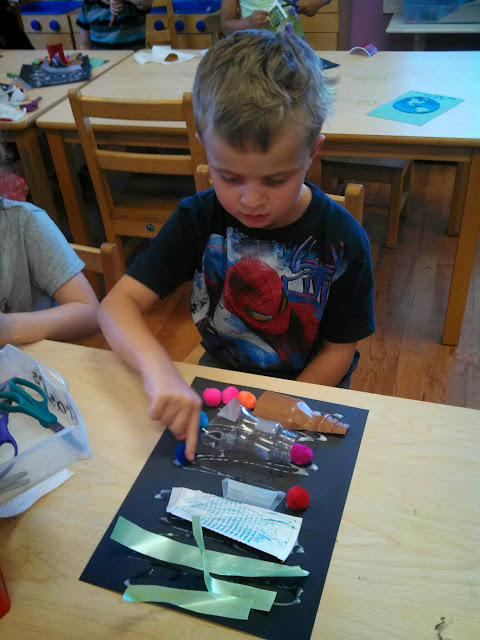 They then used some of the items collected to make some fun art! 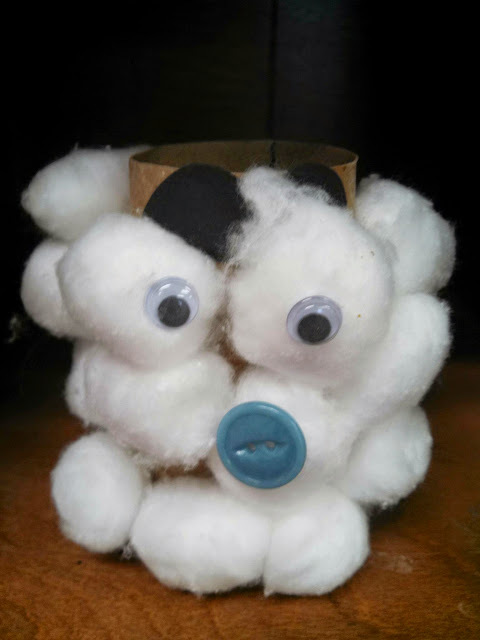 Talk about reusing! We also learned about pollution and why we need to keep our water clean. 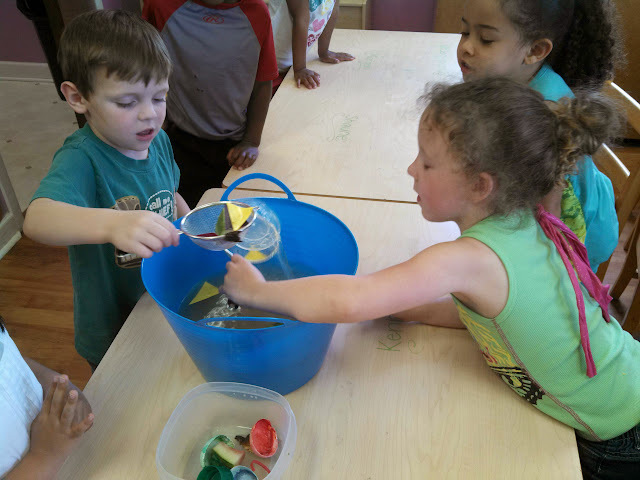 The Pre-K class did a fun science activity where they tried to clean up the dirty water! 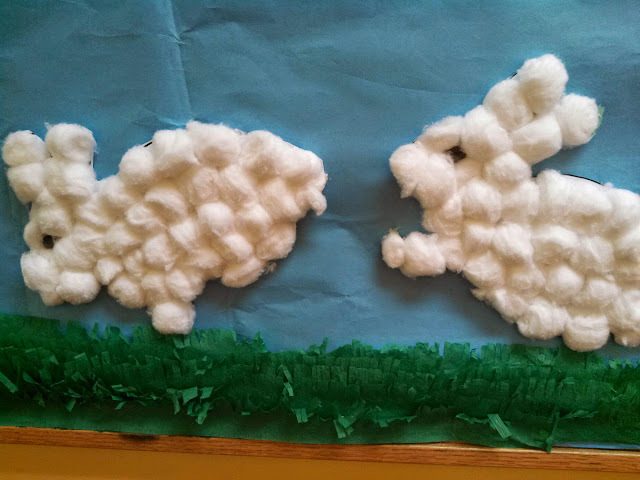 By the end of the week, the children knew many ways that they could help the Earth. They then did an activity where they picked one way that they were going to try to protect where we live! We can't forget our letter of the week- "j"! 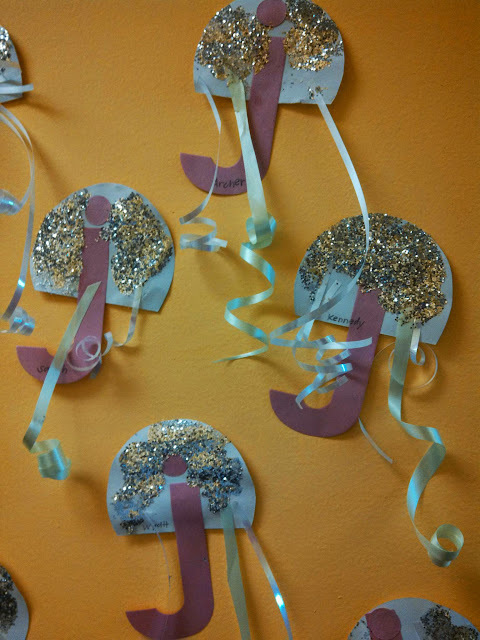 The children made "j is for jellyfish"! 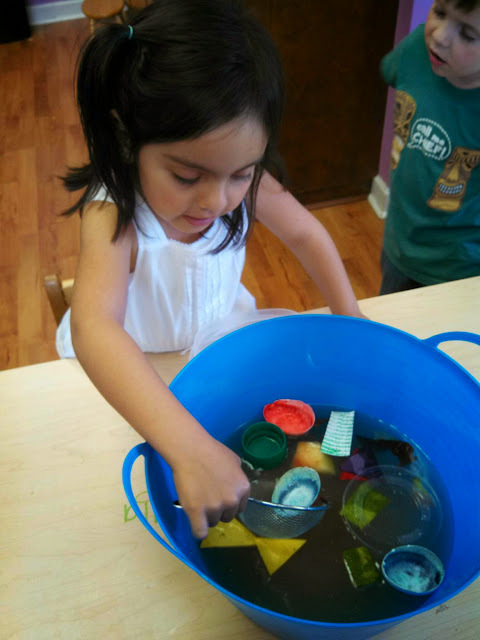 Let's hope our ocean stays clean so that we can still have fun learning about ocean life! 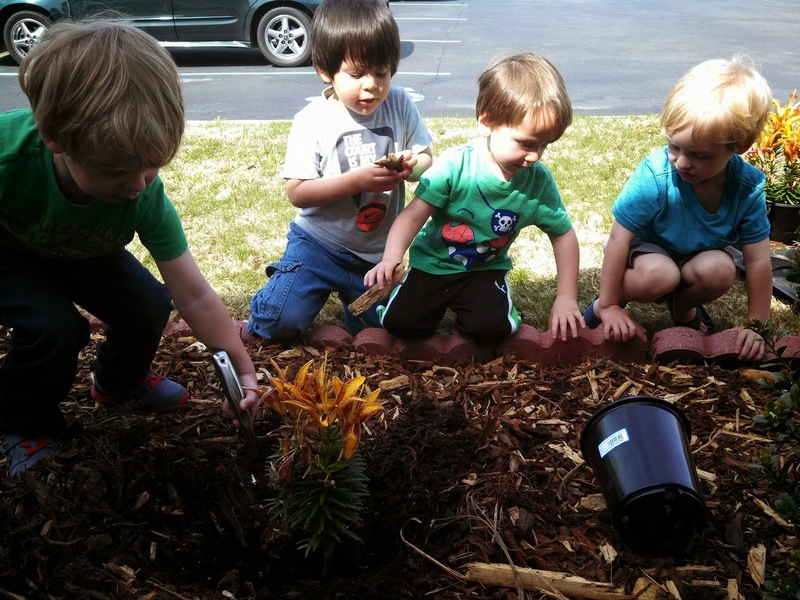 Help us protect Earth and keep it a wonderful place to live! Happy Earth Day! 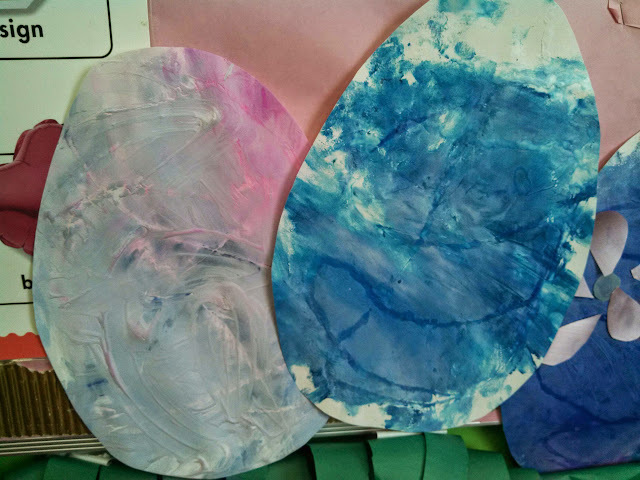 He is Risen and we have so much to celebrate! 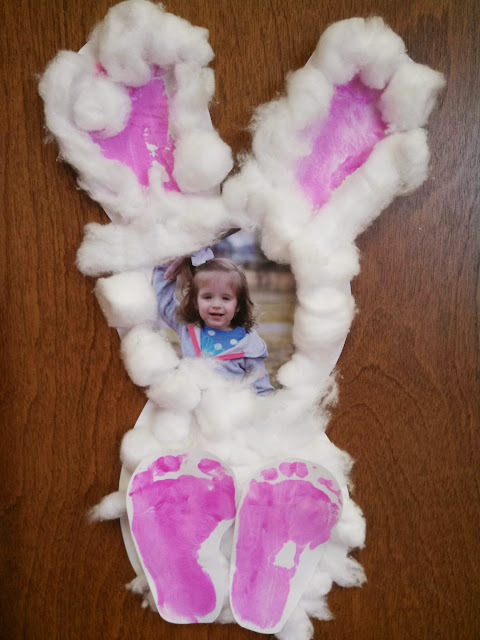 This week, we talked about bunny rabbits, lambs, eggs and most importantly, why Easter is so important. 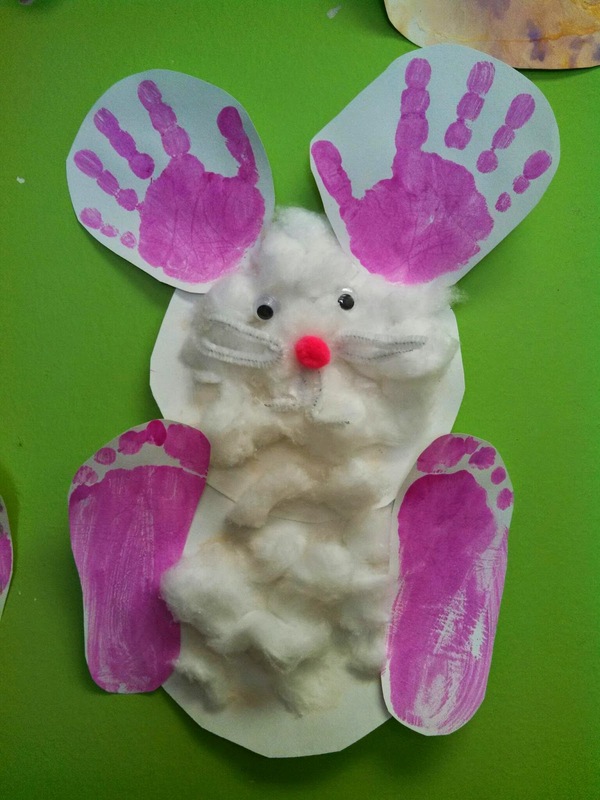 There were precious bunny and lamb crafts throughout the school. 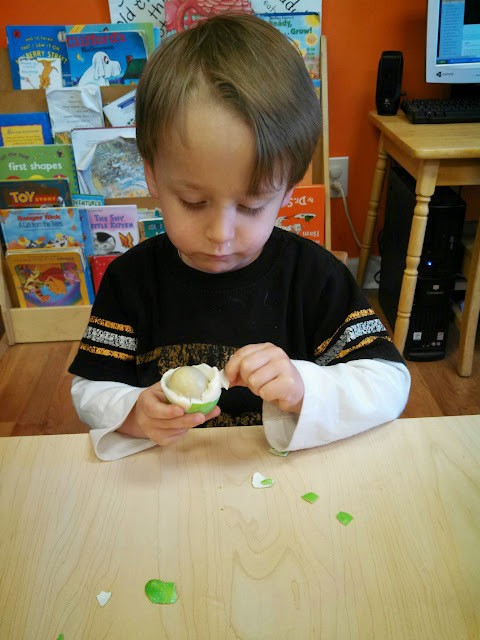 We had an EGGcellent time making all kinds of different eggs, including dying and peeling our own eggs! Who doesn't love Jelly Beans, especially at this time of the year! 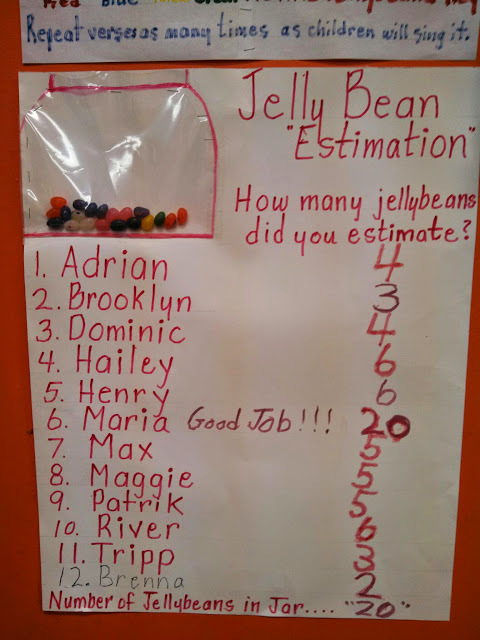 The children had fun with sorting jelly beans, making patterns, and even doing a little estimation! 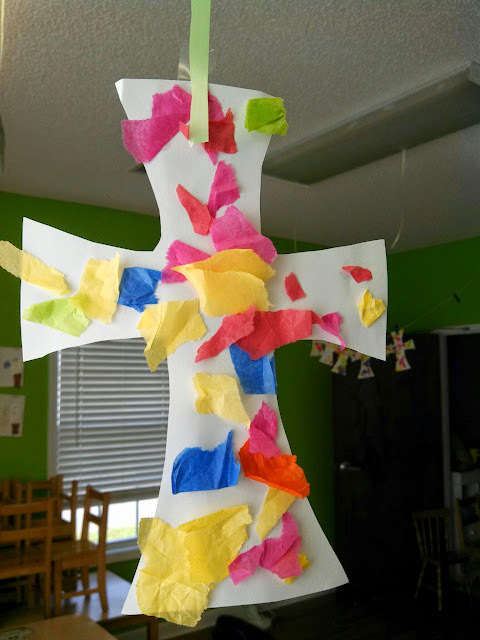 Of course, we can't talk about Easter without learning about the cross! 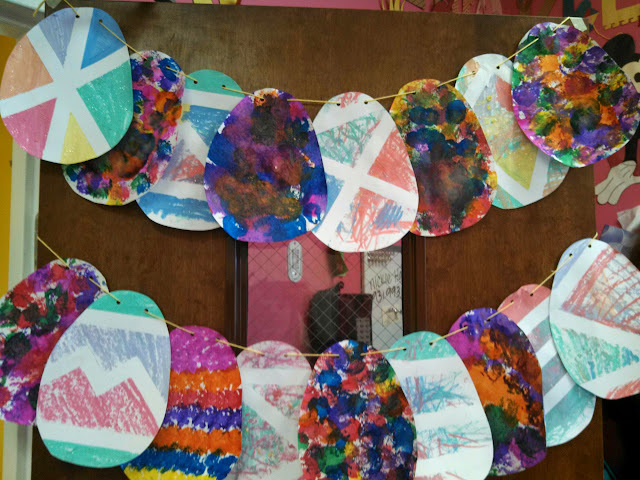 All of the classrooms made beautiful crosses! 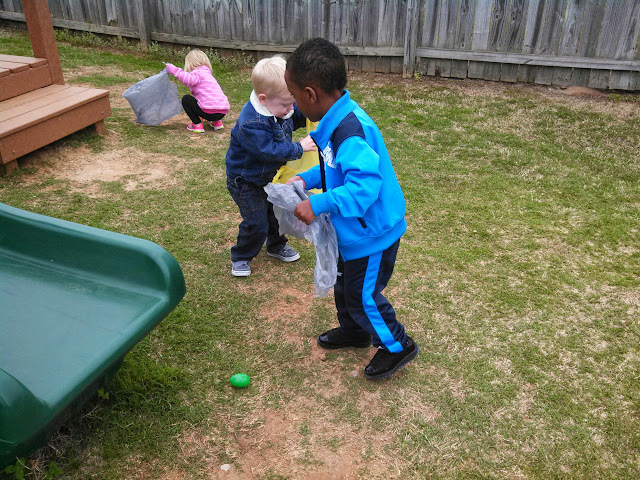 We finished up the week with an Egg Hunt on Friday out on our playground! 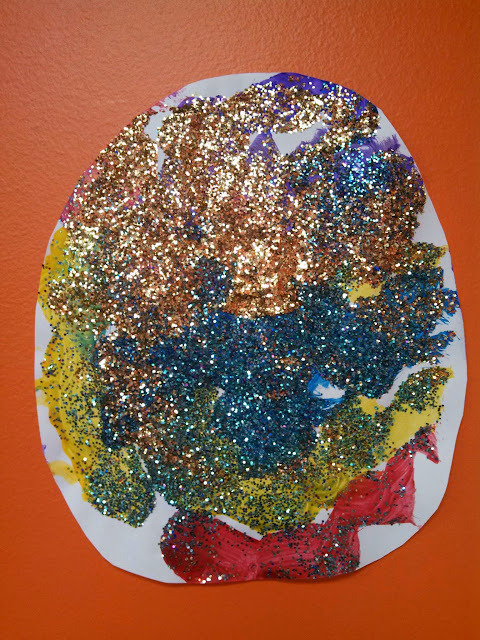 The children had so much fun and were so excited to get to hunt for eggs together! We hope you have a VERY HAPPY EASTER and celebrate our Risen Lord! 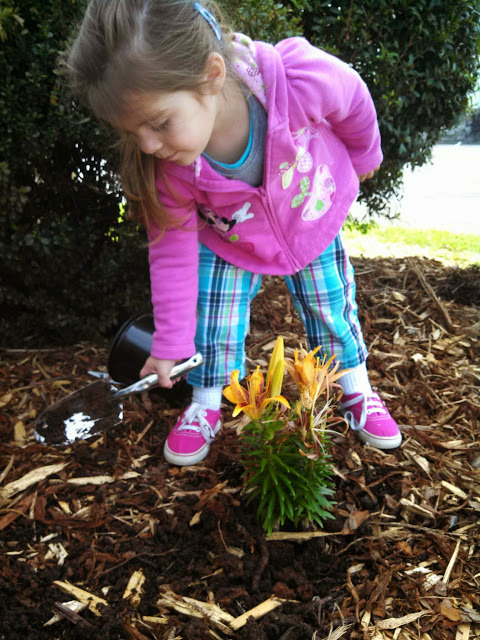 Now that Spring is here, it's time to start planting some beautiful plants and flowers! 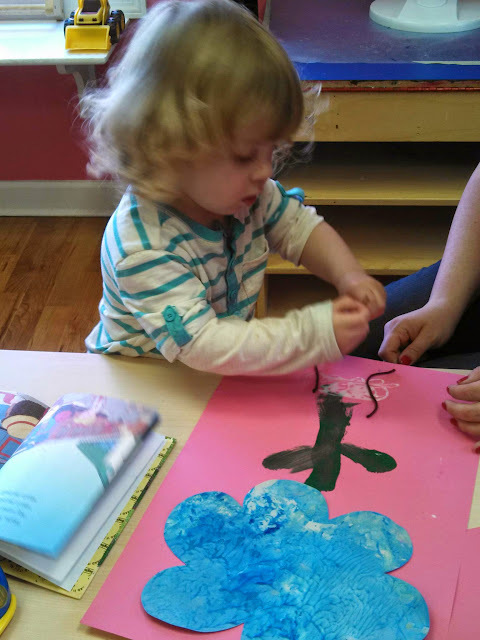 But first, it's important for us to learn how a flower grows, what it needs to live, and it's parts. 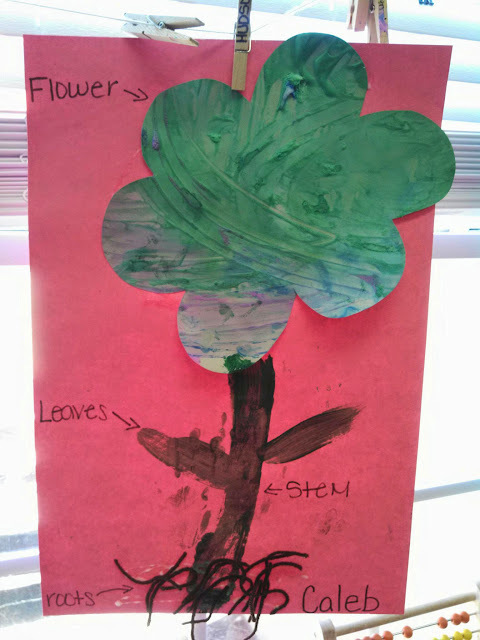 Several of the classes did a neat art activity that also helped them in identifying the parts of the flower. 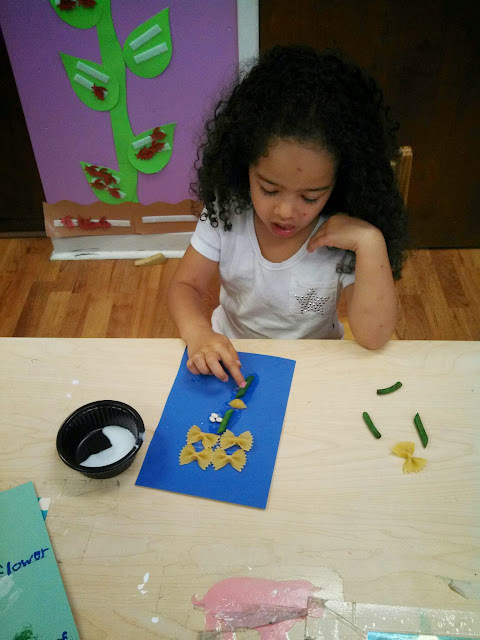 We also used our creativity to make cute flowers from noodles! 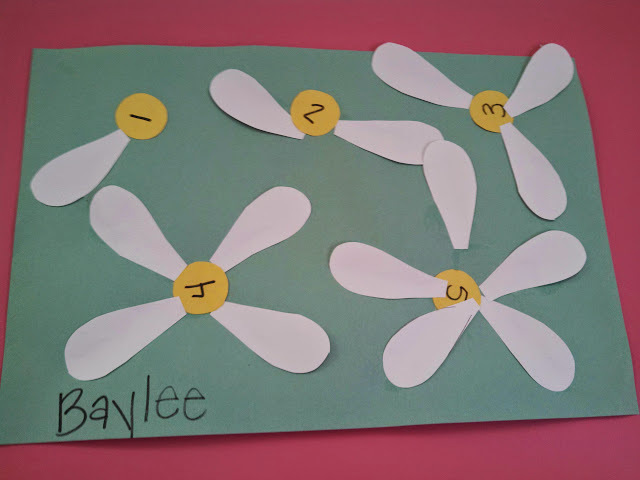 For a math activity, the children counted out and glued a certain number of petals onto each flower. 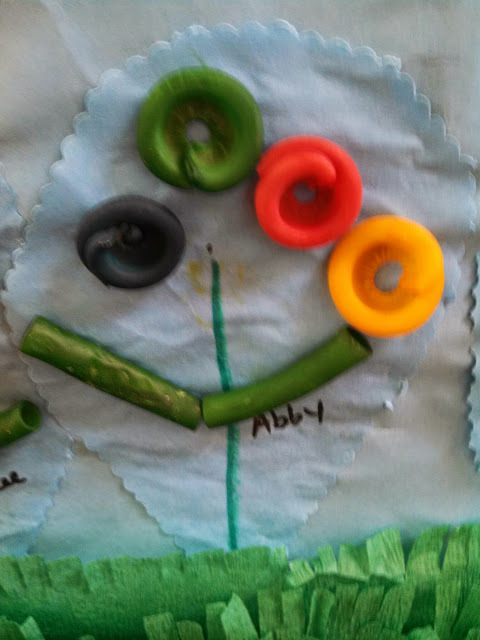 Even our cooking project was all about flowers! 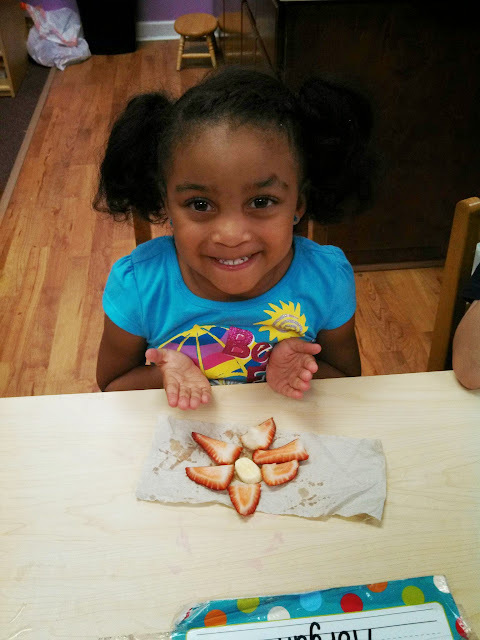 The children arranged slices of fruit to look like a beautiful (and yummy!) flower. 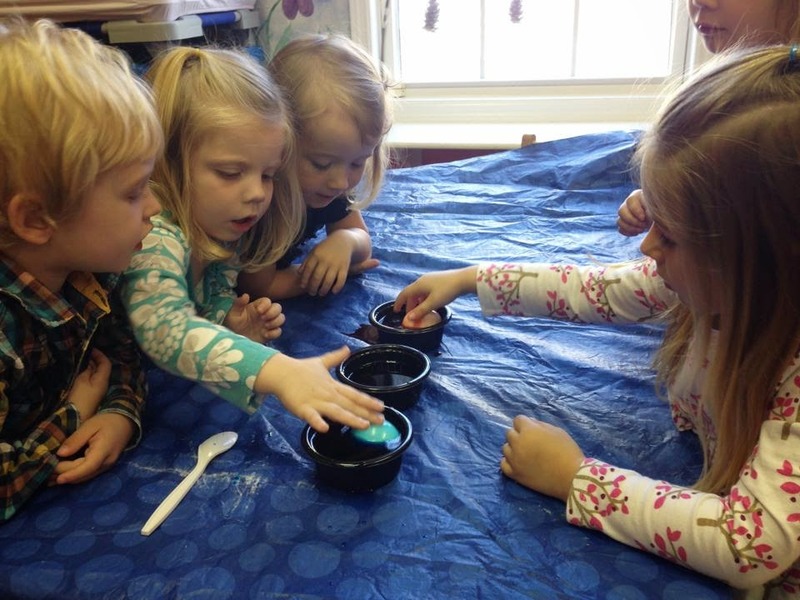 We've all gone buggy this week! 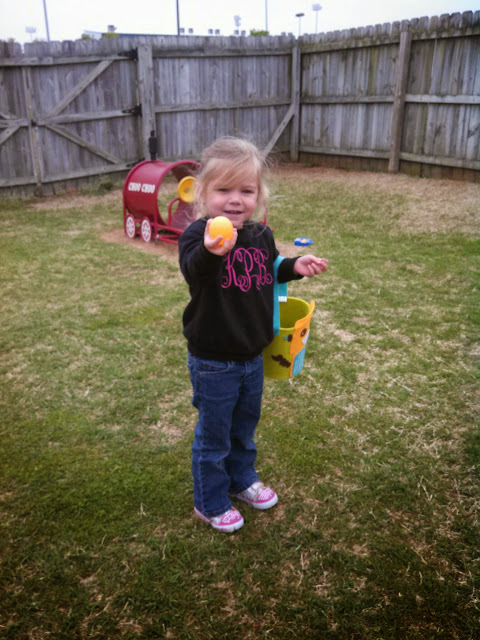 The children are having so much fun with all kinds of bugs and even enjoying going on Bug Hunts on the playground! 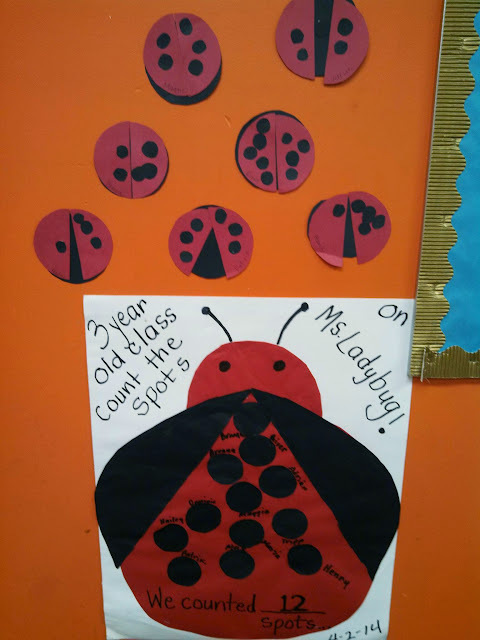 Ladybugs have given us the opportunity for some neat math activities by putting certain number of spots on the ladybugs. The children also talked about how many legs spiders and insects have. 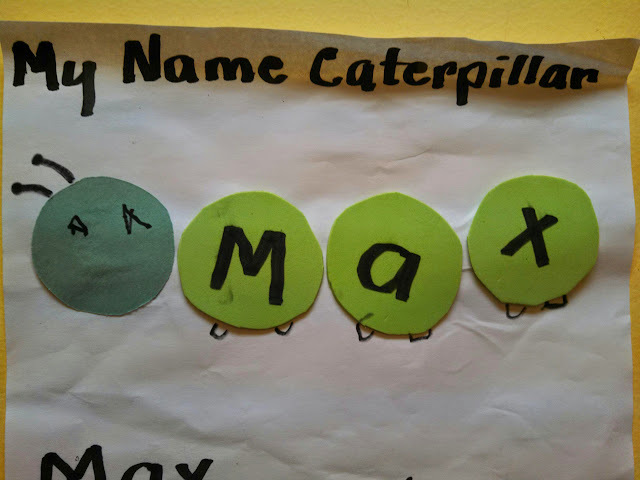 For Language Arts, several classrooms practiced spelling their names by making a caterpillar with the letters in their name. 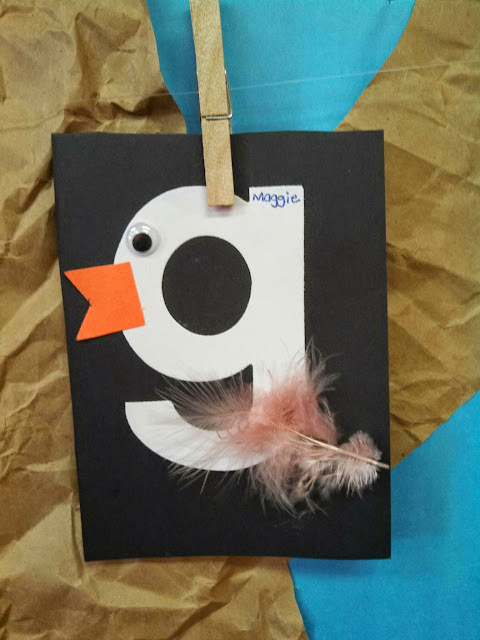 Our letter of the week is "g" so we did "g is for goose". 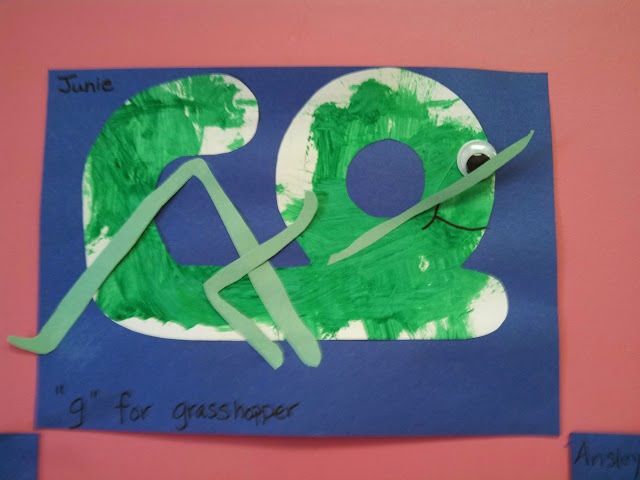 One classroom got really creative and made "g is for grasshopper" to stick with our theme! 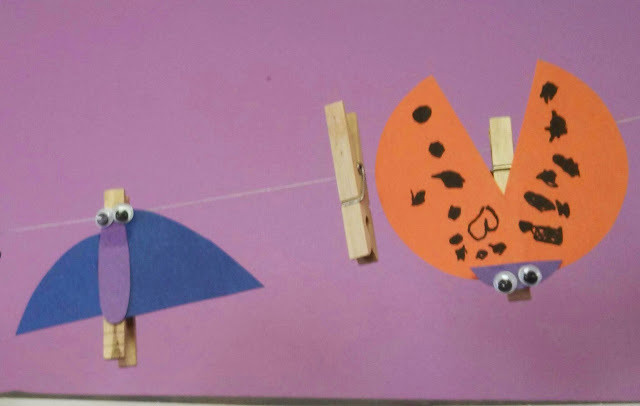 We also made bugs from fingerprints, created bugs on clips, and made ladybugs with crackers, strawberries, and raisins for our cooking project! It's fun to see all the bugs coming out in the Spring but I'm sure not ready to see mosquitoes!! EEEKKK!